It was an unusually warm day in February, when Rhonda Schlecht, a Personal Banker in Medina, got a phone call. Long-time customer, Sherry Meadows, was at the end of her rope. She was trying to set up her online banking account, and was having more than a little trouble. But this is where Rhonda shines! She’s spent many an hour on the phone, walking customers through the process of online banking. She walked Sherry along the familiar path, but still no luck. 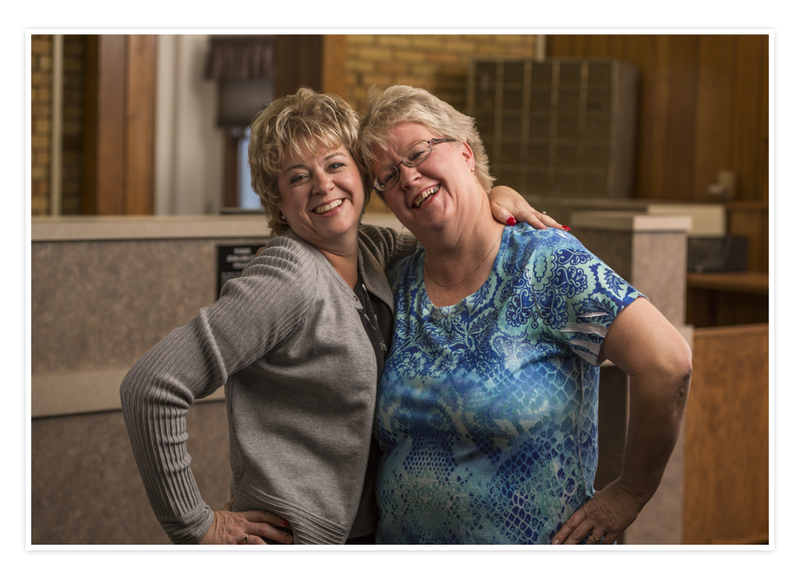 Sherry has been a customer for over 15 years. She’s bubbly and outgoing. Today however, she was clearly frustrated. Rhonda tried to stay positive. “Can you tell me what problem you’re running into?” she asked. Sherry couldn’t explain. After more than half an hour of back and forth, Rhonda had a thought. Sherry lived just down the block. Normally, a banker might not just up and stroll over to a customer’s house to help. But, Rhonda thought… why not? “I’ll just come over,” she told Sherry. And off she went. 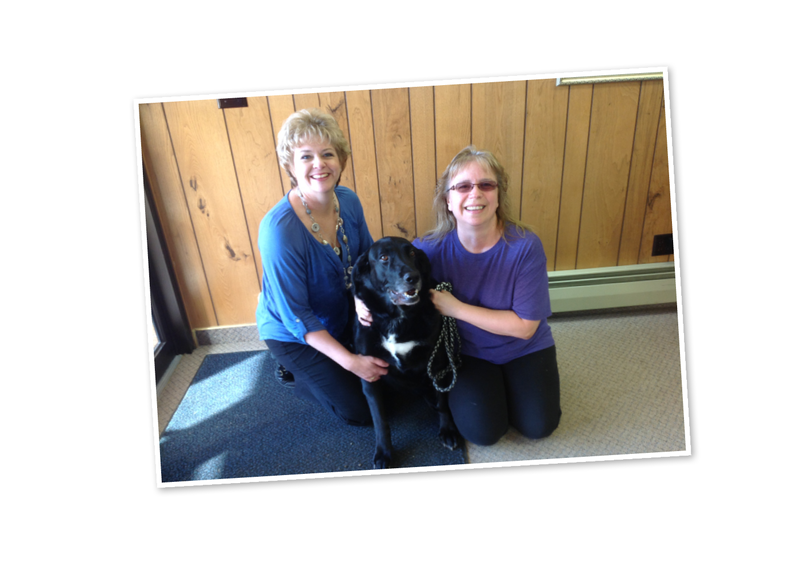 When she arrived she was greeted by Sherry’s big loveable black lab, Harley. The fix took about 10 minutes, and was much easier to solve in person. Soon it was smooth sailing for Sherry’s new online banking account. And Rhonda was playing fetch with Harley while catching up with Sherry about life. Karen Schlecht, Senior Front Line Specialist at Medina, was touched but not surprised by the event. “Rhonda is outgoing and very willing to help,” she said. “Oh, you’re making me blush!” Rhonda said, laughing. 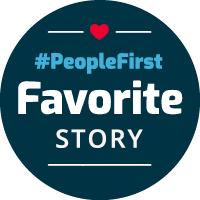 It’s all part of putting People First; whether that means at the office, or in an impromptu house visit — with a bonus puppy play date!